This one is a a true remarkable mashup. Abarth. SIMCA. FIAT. Why all this? 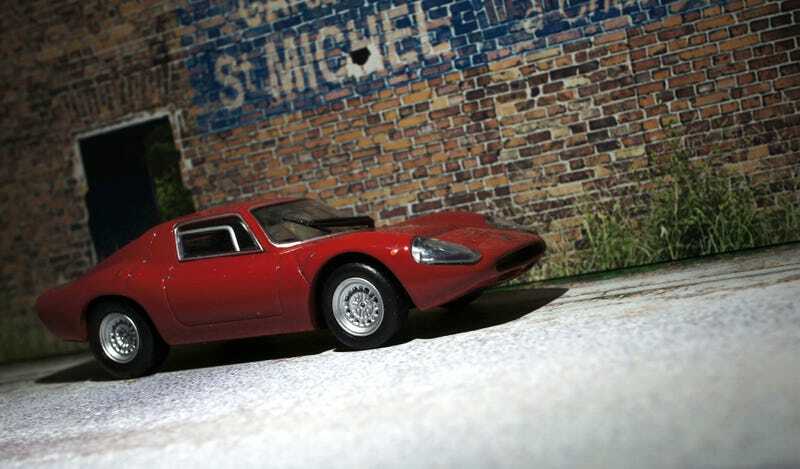 Because it was developed from the SIMCA 1000 floorpan just as the Abarth-SIMCA 1300 GT. But during developing from racing in the Prototipo class to racing in Homologated GT-class something happened: SIMCA was taken over by Chrysler. French Friday: Qu&apos;est-ce que c&apos;est? Une Abarth Francaise? And Chrysler had no interest in any continuation of the previously successful Simca Abarth collaboration, which came to a juddering halt. In Torino Carlo Abarth found himself left more or less high and dry, but the supply of basically Simca 1000 chassis floor pans, upon which the sleek and superfast Abarth Simca 1600s and 2000s (270+ km/h!!!) had been based, left quite a number in stock, as yet unused. So these were used for the new OT 1300, all independent suspension was attached with componentry drawn from the FIAT 850 shelves. But if you think Abarth turned to FIAT for it’s propulsion you’re wrong. They mounted an all-Abarth engine, designed by Luciano Fochi. Looks a bit like an Alfa Romeo Motore Bialbero visually but then again: many twin cam engines do. Like Fiat’s Lampredi. Whatever: it made the OT 1300 very successful. With 50 produced it homologated for FIA’s Gran Turismo model 1300 cc class (Division 1), which it dominated for three consecutive years. 1966 and 1967 Abarth took the championship. I suppose they were just too late entering the 1965 championship during the Nürburgring 500 kms. The model itself is another metro.mo.it magazine model. 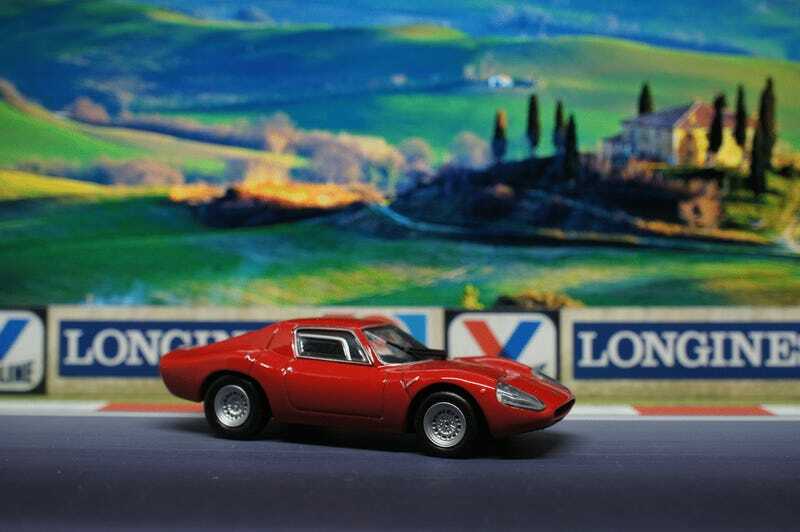 It’s scaled in 1/43 and I’m no longer the only one showing these of on LaLD: Superstarksa showed us his Abarth 3000 Sport and Small Scale Sydney showed us his FIAT-Abarth 750. Small Scale Sydney mentions his 750 to have the tires melting with that base and this one had that as well. I want to keep it with it’s base though so I wonder what to do to prevent it from becoming one big blob. small pieces of paper between ‘m? Foil? It has quite the over hang in that rear but that’s what it inherited from that rear engined SIMCA 1000. It might not be what we’d expect from a sportscar nowadays but it’s an amazing memory of cars from an era that lies behind us quite some time. And that’s it for today. Ciao Tutti!